Did you mean this computer? I never heard of it nor did I see the photo before. How strong is it? The two specimens really seem to have to do something with each other. They look like twins and now we certainly know how strong the Brazilian device without much doubt is. Hi for all!!! 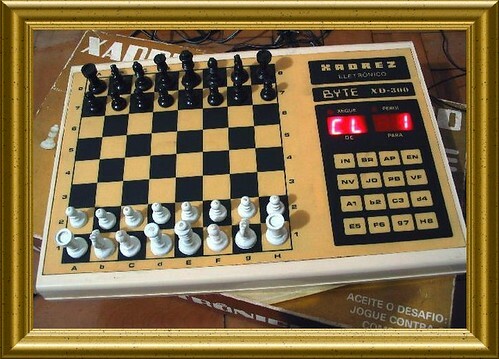 I have a brazilian Splyce Byte,100% original (box, manuals, DC adapter...) and I am interested in swap for another chess computer. My interests: Fidelity Match 3 or a Mephisto Modular(or Exclusive) with one Ed Schröder module. Please to answer in private for acgmarques@ ig.com.br.